So, dear reader. 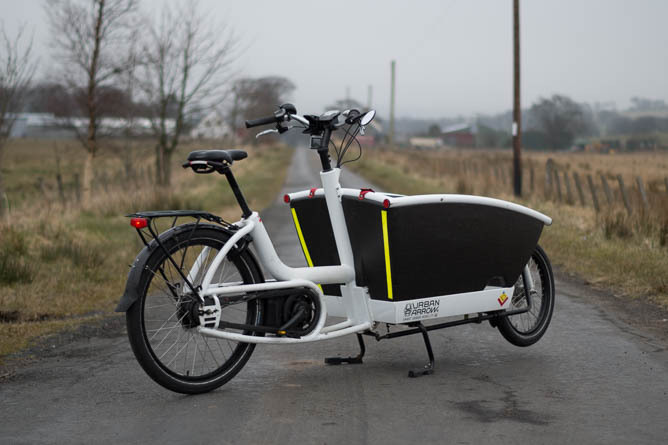 You’ll no doubt remember that a little while ago mini-DarkerSide and I went over to Edinburgh to play on review an electric cargo bike; the Urban Arrow. We liked it a lot. So much so that, when Laid Back Bikes approached me asking if I was interested in a second-hand Arrow that might be about to become available, I was intrigued. 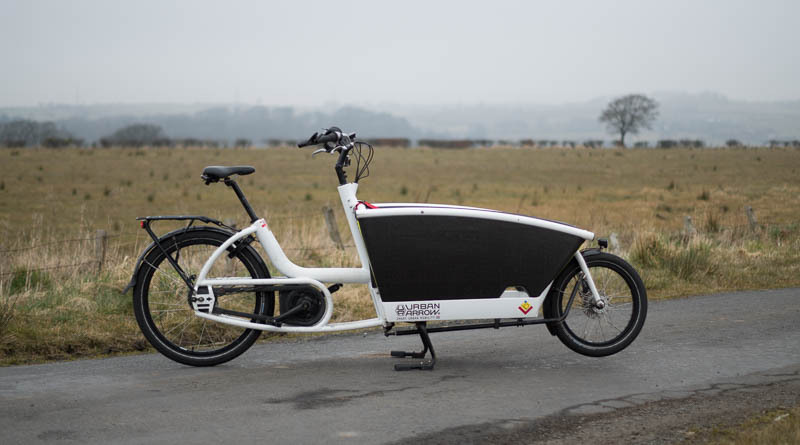 Fast-forward a month or so (you can insert your own flying calendar visual effect if you want), and I have in my eager hands the bike previously owned by one of Edinburgh’s early adopters. 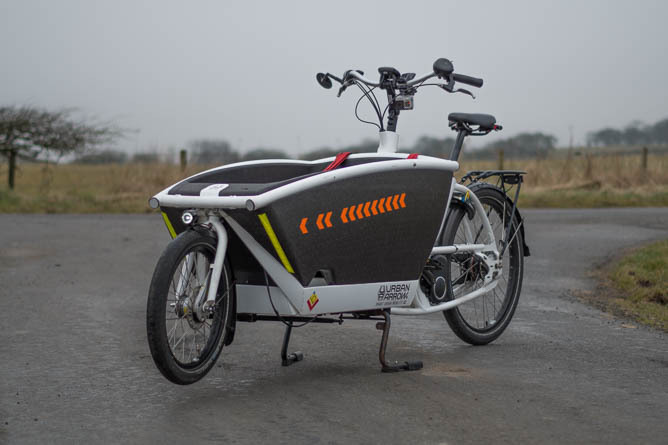 They now have the bike that Edinburgh Festival of Cycling used to hire out, and the Festival have bought a brand new Arrow in stealth black (which you can still hire here). Laid Back also threw in a bunch of bonus gear, including the box cover, a rain tent, the Maxi-Cosi child-seat adaptors, a spare front wheel, and some other bits and bobs. It’s not a new bike (first ridden in November 2013), and it’s been thoroughly loved since then (with some of the paint showing that love). It’s also got the old-style dropouts and drum brakes rather than disc. 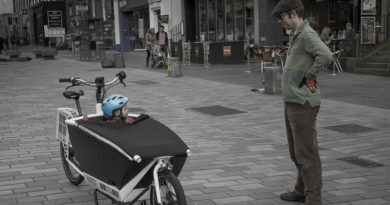 You can imagine how little that bothered my passenger on our first ride.